Yesterday, during a BlizzCon Q&A shortly after the announcement of mobile game Diablo Immortal, a fan in a red shirt approached the mic. “Just was wondering,” he said in a deadpan tone, “is this an out-of-season April Fool’s joke?” The audience cheered. It was just the beginning of a very long weekend for Blizzard. 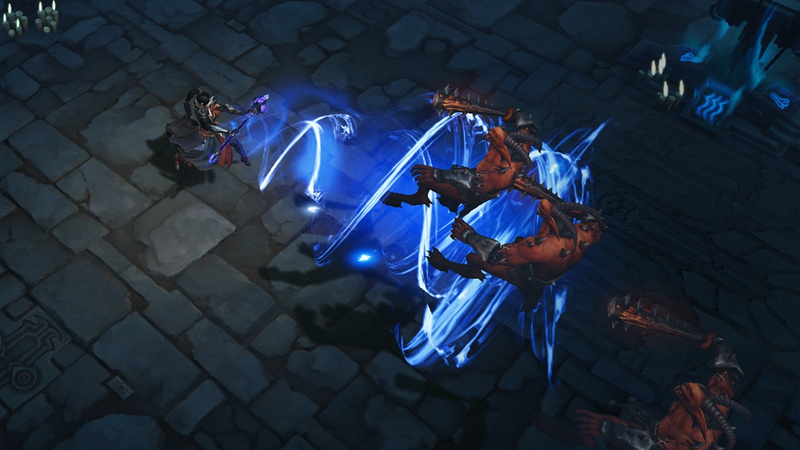 Backlash to Diablo Immortal, however, has continued to rage across social media, YouTube, Reddit, and other sites. It stems, for the most part, from a pre-BlizzCon Blizzard blog post that was meant to temper fans’ expectations and clarify that there are multiple Diablo projects in the works, but which did say that “we do intend to share some Diablo-related news with you at the show.” The blog post got many fans’ hopes up for even a low-level loot drop of information about Diablo IV. Failing that, they were at least holding out for a remaster of a classic Diablo game. Instead, they got a mobile game that’s being developed in collaboration with Chinese company NetEase. Some fans have taken this as a sign that Blizzard has forsaken PC and console in favour of greener mobile pastures — and thus, that they’ve forsaken the fans that they built their foundation on. Other threads on the subreddit accuse Blizzard of “killing” Diablo, call the game a “slap in the face,” and justify being disrespectful to Blizzard employees, while people on Diablo’s official forum call for boycotts and petition to get Immortal cancelled. There have also been accusations that Blizzard is removing dislikes from Diablo Immortal’s cinematic and gameplayer trailers — which currently have 215,000 and 132,000 dislikes on YouTube, respectively — but others have suggested that the number fluctuations are an algorithm issue or an adjustment after multi-account votes were removed. Unsurprisingly, Gamergate subreddit Kotaku In Action has also lent its considerable numbers to the more culture-wars-adjacent and conspiratorial elements of this backlash wave — in effect, amplifying them. But, of course, there’s also the elephant-sized lord of darkness and torment in the room: People thought they were going to see Diablo IV. 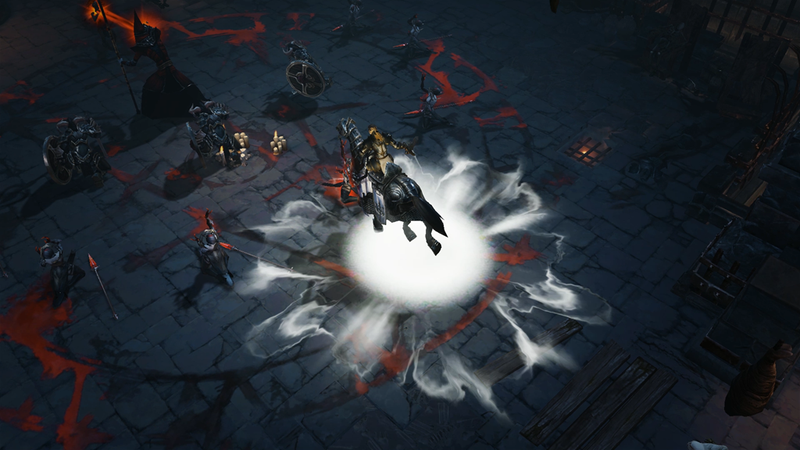 “That being said, we knew our audience here desperately wants to see and hear about one thing in particular,” Adham said in reference to whatever major Diablo game is coming after Diablo III. In theory, the aforementioned blog post was supposed to head that thinking off at the pass, but it backfired. Big video game companies have a way of talking around things they haven’t announced, and the post exemplifies that. If you read through it with the benefit of hindsight, it’s pretty obvious that it’s telling people not to get their hopes up for anything too big at BlizzCon. However, it’s easy to see how fans could also interpret it as though it’s saying the complete opposite. Nowhere does it just directly state that people shouldn’t expect to see the next big Diablo game at BlizzCon. Adham also talked about the structure of the Diablo Immortal team, explaining that it’s a joint effort between a team at Blizzard and a team at NetEase in China. 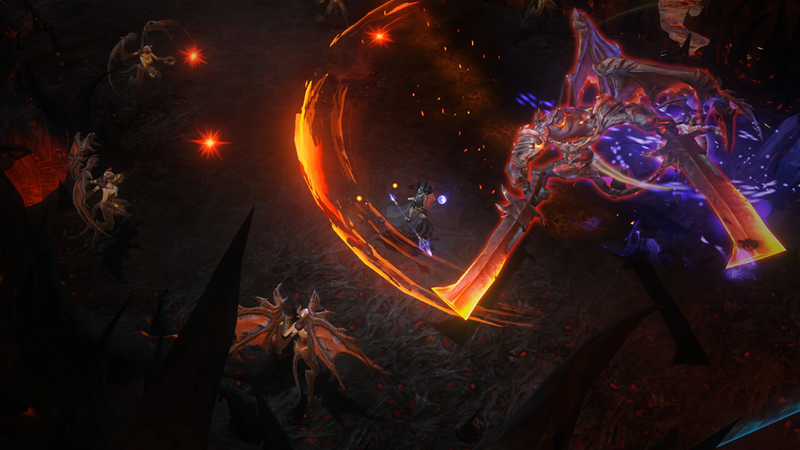 While those teams do interact with the main Diablo team, the Immortal team and the main Diablo team are separate and working on separate projects. That’s not to say that Diablo fans’ fears are entirely misplaced. The world of mobile gaming is distressingly under-regulated and rife with exploitative business practices that prey on very real issues like gambling addiction. People are worried that Blizzard will end up embracing the dark side of microtransactions with its mobile game about the dark lord. On that front, Adham wasn’t able to offer any concrete reassurances and instead pointed to Blizzard’s track record. The explosion of outrage has many on social media discussing the extent to which video game culture enables entitlement. 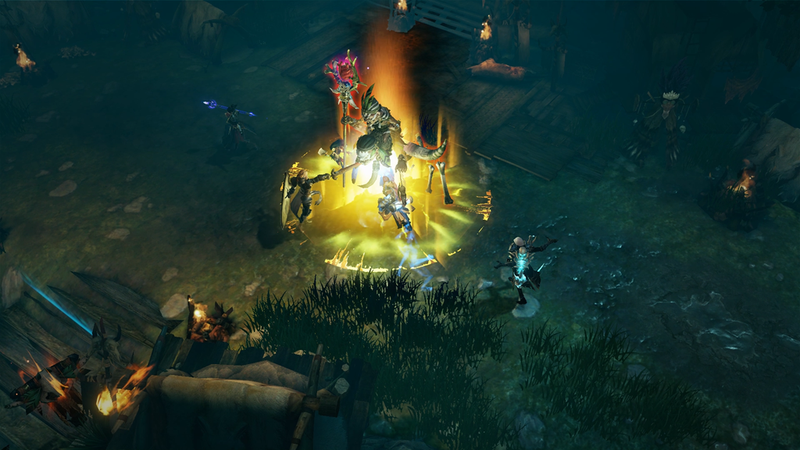 It’s not surprising, after all, that there’s been some pushback on the idea of a mobile Diablo game. What’s shocking here is the sheer amount of molten vitriol that’s pouring in over what seems to be a pretty cut-and-dry situation: A proper new Diablo has been and continues to be in the works, and Diablo Immortal is its own thing that’s not detracting from that. Also, the game itself is fine, if a little too shallow. No harm, no foul — aside from maybe some hurt feelings over unfulfilled expectations. And yet, people have decided that this is the ultimate betrayal, all because a single game isn’t hyper-focused on the diehard PC and console crowd. Unfortunately, this kind of rhetoric — obviously well-meaning and frequently employed by developers with vocal fanbases — can contribute to the problem. It positions the “passion” that leads to disrespect and even outright abuse as a virtue, which in turn begets subsequent cycles of vitriolic uproar when developers don’t give their core crowds exactly what they demand. If even massive companies like Blizzard laud these fans’ outbursts, after all, they must be justified. Still, Adham hopes that, in the end, Blizzard is able to please everyone.